Physics is a fascinating subject – full of opportunities for a successful and fulfilling career. 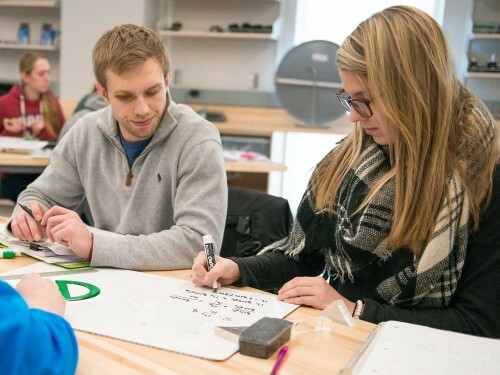 The physics department has a program to fit your skills and ambitions – whether that's in experimental nuclear physics, planetary physics, asteroid dynamics, mathematical physics, laser spectroscopy, theoretical nuclear astrophysics or any of a number of other related disciplines. The professional physics track will emphasize business and industry, government and graduate school. Students may choose to add an astrophysics emphasis. 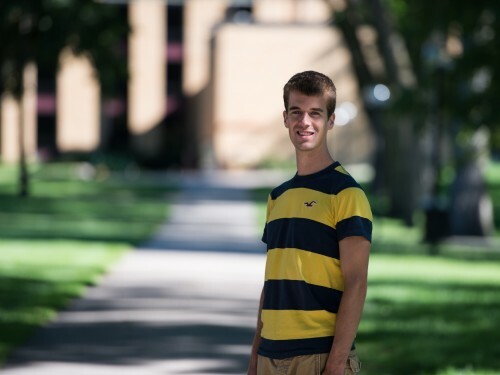 Applied physics track bridges the gap between science and engineering. This major will prepare you to teach physics to students in grades 9-12. Optional add-on endorsement for elementary education majors. Recommended add-on endorsement for physics education majors. If you choose to study Physics at Concordia, you’ll learn to investigate how things work, have contact with the newest technologies/discoveries, do interesting experiments and learn lots of exciting stuff while interacting with the faculty and other students in a close-knit environment. Concordia has a dynamic physics department with approachable faculty and diverse research opportunities. Our faculty will work closely with you to find the path that works best to achieve your short- and long-range plans. We know that life isn’t just about physics and, while the program is rigorous and challenging, we take pride in the fact that the vast majority of our students are involved in other activities, such as music ensembles, choir and/or orchestra, sports and organizations – including our chapter of the Society of Physics Students (SPS). Some research opportunities include planetary science, geomagnetism, experimental nuclear physics, atomic and molecular physics, mathematical physics and laser spectroscopy. The demand for physics graduates in the job market is high and it is expected to continue to grow. A wide range of career options exist – from engineering to technology, banking and more. It is not uncommon for graduates to immediately enter the work force in fields as diverse as software companies, engineering companies, national labs, banking and the healthcare sector. They work as data analysts, software engineers, software developers and clinical research team leaders at places like 3M, Microsoft and Sanford Health. Physics graduates often go on to do research either in the private sector or in national labs, and there are also many opportunities in the government and educational sectors. Many of our students choose to pursue advanced degrees in fields such as physics, medical physics, geophysics, computer science, MBA and a whole range of engineering (civil, mechanical, electrical, aeronautical, etc.) disciplines. Among the universities our recent graduates went or were accepted for graduate studies are Stanford University, University of Chicago, University of Wisconsin – Madison, University of Minnesota – Twin Cities, University of Illinois – Urbana-Champaign, University of Notre-Dame, University of Iowa – Ames and Cornell University. One physics major might dream of using their love of music and science to become an acoustical engineer and design concert halls. Our approach to teaching means students can combine academic preparation with practically any co-curricular interest. 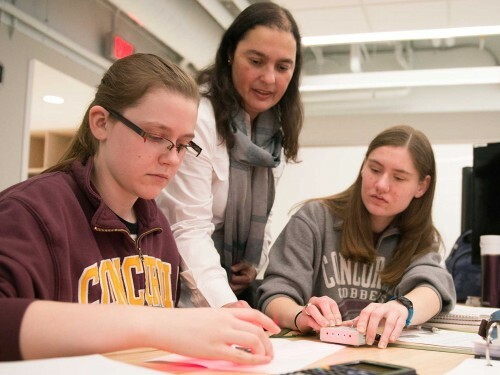 Faculty members briefly lecture at the start of the class period, and then students work in groups of three or four, either to solve problems or do experiments that are integrated with the lecture. This approach has been shown to improve learning and retention of concepts. My interest in mechanics and motion brought me to the program, which teaches critical thinking and problem solving at a high level. 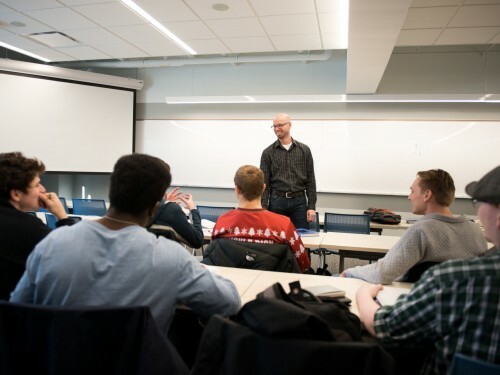 The professors are sociable, approachable and passionate about what they teach, and anyone with an interest in physics will find themselves in a comfortable environment here. Fascinated by plasma and fusion energy, Dr. Matthew Archmiller utilizes his experience and research opportunities to instill a love of learning and research in his physics students. Matthew Lillehaugen '17 has found a way to be one step ahead and he’s done it by combining interests that seem to have nothing in common.